For the application see the Southmoreland High School Guidance Department or apply today by click here. The 2018 Scottdale Fall Festival scholarship is awarded to a Southmoreland senior. This young woman is involved in the community and has demonstrated strong leadership qualities. The 2018 scholarship recipient is Hayley Robbins. Hayley was involved, as a volunteer, with the Christ United Methodist Church Spaghetti dinners, Erie Mission Trips, CUMC food banks, Breakfast with Santa, Autism Walk, CUMC Vacation Bible School, Honor’s dinner, Buddy Day, Fall Festival, Christmas Caroling, Kindergarten Screening, Hobgoblin Hike, Lunch Bunch, Safe from the Sun Melanoma Walk, and Learning For Life. She enjoyed playing tennis and is a very determined young woman. Hayley said her Aunt Christine taught her the importance of hard-work and determination. She went on to say “her aunt is the head nurse in California, she went back to college to get her Master’s degree while juggling a busy family life”. Here ant is her inspiration because she knows that going into the medical field is difficult, but her aunt went back to school while working and providing for her family. Hayley said, “My aunt has shown me that I can accomplish anything that I set my mind to with hard-work”. Heyley’s future plans are to go to Chatham University to earn her bachelor’s degree in psychology. She wants to major in children Occupational Therapy, and hopefully end up working at a hospital or school. The 2017 Scottdale Fall Festival scholarship is awarded to a Southmoreland senior. This young man is involved in the community and has displayed strong leadership qualities. The 2017 scholarship recipient is Bailey Stapleton. Bailey was involved, as a volunteer, with the Wooddale Bible Brethren Church and the Boy Scouts of America. As a Scout he participated in many BSA volunteer activities. Baileywas also involved with Southmoreland’s Golf team, Varsity Club, Art Council, Reading Buddies, and the Indian Creek Valley Sportsman Association. His grandfather, DomerWiltrout, has always motivated him to do his best whether it beplaying a sport or doing school work. Bailey said “My involvement on the golf team has taught me to dedicate myself to work hard, and to strive for success.” He went on to say “Scouting has influenced me to be more helpful and get more involved in community service projects.” Also his Aunt Michelle has inspired him to take more chances in life and to live life to the fullest. Bailey will pursue higher education at Westmoreland County Community College for two years and then transfer to Penn State to finish a degree in Accounting. The 2016 Scottdale Fall Festival scholarship is awarded to a Southmoreland senior. This person is involved in the community and has displayed leadership qualities. The 2016 Scottdale Fall Festival scholarship winner is Blaise Wisniewski. Blaise has been involved with school activities such as Concert Band, Jazz Band/Ensemble, Wind Ensemble, and Chorus Highlander Choir. Some of her Honors and Accolades include, National Honor Society, Tri-M Music Honor Society, PMEA All-State Musician, and NAfME All-Eastern Honors Concert Band. Some other volunteering activities within the community include Jim Sheppard Music Instruction: private saxophone lessons and quartet/studio performances, Scottdale Fall Festival Student Representative (2015-2016)/Committee Member, and St. John’s Byzantine Catholic Church: C.C.D. member, acolyte, choir member. Blaine’s parents serve as her most notable influence and goes on to say “I am very blessed to have parents who love and care about me very much”. They are her rock and have continuously supported Blaise in all that she does. Without her parents, she said ” I would not have a greater understanding of life and the knowledge of how to respond to life-changing moments”. Blaise goes on to say “At the end of each and every day, my parents are there for me; my parents are my best friends”. Blaise will continue her education at Pennsylvania State University, University Park to obtain a BSN and will attend graduate school to be an eventual nurse anesthetist (CRNA) and to specialize within pediatrics. Through advanced practice nursing, she will be able to achieve her life goal of positively impacting individuals while enjoying a high degree of autonomy and professional respect. The 2015 Scottdale Fall Festival scholarship is awarded to a Southmoreland senior. This person is involved in the community and has displayed leadership qualities. The 2015 Scottdale Fall Festival scholarship winner is Henry Riley. Henry has been involved with school activities such as Captain Varsity Soccer Team 4 years, Captain Varsity Tennis Team 4 Years, Class of 2015 Treasurer 4 Years, National Honor Society 2 Years, National Honor Society Treasurer 1 Year, Six Man Crazy Club 1 Year, Alpha 4 Years, Student Council 1 Year, Spanish Club 2 Years, YEA 1 Year. Some other volunteering activities include Co-organizer of the Scottdale Summer Slam- Partnered with Scottdale Parks and Recreation Committee to raise funds for the YMCA Healthy Kids Campaign. Also, founding member of the YMCA of Laurel Highlands Make A Difference Club- a member from 6th grade through 12th- Currently a Teen Adviser to the group. Henry plans to attend The Ohio State University the Fisher School of Business where he plans to specialize in finance. He is also a member of the John Glenn School of Public Affairs learning community. Ultimately Henry would like to go to law school. Two of Henry’s biggest influences were his soccer coach Chris Hixson and his Uncle James Echard. Henry and his Uncle Jim share a love of watching baseball. They enjoying going to Pirate games and as a graduation gift his Uncle Jim and Aunt Jan gave him an MLB passbook as it’s his dream to visit every baseball park in the U.S. and to fill his passbook. Henry also loves watching Football and is looking forward to cheering on The Buckeyes. The 2014 Scottdale Fall Festival scholarship is awarded to a Southmoreland senior. This person is involved in the community and has displayed leadership qualities. The 2014 Scottdale Fall Festival scholarship winner is Paige Weaver. Paige has been involved with school activities such as Southmoreland Varsity Soccer (Captain), Southmoreland Varsity Track and Field (Captain), Southmoreland Varsity Basketball (Captain), Varsity Club, Classic Soccer, Youth Education Association (President), Students for Life Choices, Spanish Club, Art Council, Concert Chorus, Powderpuff Football, Hoop-It-Up Basketball Tournament, Bump-It-Up Volleyball Tournament, Student Council, Student School Board Representative, Science Club, Physics Olympics, Westinghouse Honors Science Institute, Rotary Youth Leadership Association, Once A Month Teaching Program, and World Affairs Council of Pittsburgh. Some other volunteering activities include Volunteer at Friendship Hill National Park-helped to create a PowerPoint on the Life of Albert Gallatin that is now on display at the Library of Geneva in Geneva, Switzerland, Volunteer at West Overton Museum, Advocate for Autism Awareness, Youth Education Association Events, St. Pius 5K, Chris Kiefer 5K, Camp Counselor at Camp Antiochian, Coach and Train Youth Soccer for Century United Soccer Club, Window Painting for the Scottdale Fall Festival, Scottdale Fall Festival Clean Up, and Recondition Scenery for the Overly Country Christmas Display. Paige plans to attend Randolph-Macon College in Richmond, VA, where she has been accepted into the Honors Program and the Leadership Fellows Program. She intends to major in history and art history. After earning her Bachelor’s Degree, she aspires to obtain a PhD and become a museum curator or college professor. The 2013 Scottdale Fall Festival scholarship is awarded to a Southmoreland senior. This person is involved in the community and has displayed leadership qualities. The 2013 Scottdale Fall Festival scholarship winner is Zoe Farrell. 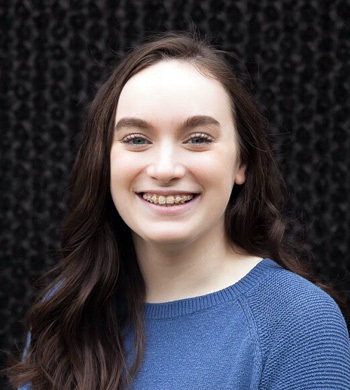 Zoe has been involved with school activities such as Southmoreland Senior Video, Reading Team, SEAS club, Spanish Club, Mock Trial, SLC (President 12th grade), Journalism Club, Science Club, and a Co- Editor while working on publishing a Literary Magazine for Southmoreland High School. She was involved with the community by volunteering for over 750 hours at Frick Hospital Coffee shop and as a member of the Care Team for the Hospital. Some other volunteering activities include assisted in a Dance Recital, helped at Scottdale Fall Festival during the Parade, participated in concession and ticket stand at the Girls Football Game, assisted in Jacob’s Creek/ Owensdale Church Bible School, assisted in Terrific Tuesdays at Jacob’s Creek, helped in the Student Life Choices Summit, designed Historical Society’s House Touring Flyers, participated in the Historical Society’s Porch Tour, planned SLC’s Grimm Reaper Day, created video for Grimm Reaper Day, and assisted The Red Cross Blood drive. Zoe plans to achieve her bachelor’s degree in Biology at Seton Hill University and then join their Physicians Assistant program. Zoe’s grandmother being diagnosed with Dementia has influenced her life by giving her the determination to live her life to the fullest. Zoe went on to say “her disease has impacted my life in every aspect, making me realize what truly is important in family, friends, and life.” The other influences in Zoe’s life have been her mother, Melissa Farrell, and her two sisters, Quinn and Rory. Zoe said “Both of my sisters have impacted my life by giving me a sense of companionship and friendship. Those two girls will always have my back, and I theirs.” Zoe’s mom has taught her morals and the life lessons most people learn when they start living on their own. Zoelearned to be independent, strong willed, and self-reliant under her guidance. The 2010 Scottdale Fall Festival scholarship is awarded to a Southmoreland senior. This person is involved in the community and has displayed leadership qualities. The 2010 Scottdale Fall Festival scholarship winner is Rachel Zaffina. Through her High school career Rachel was involved in many activities ranging from tennis to the art council. Rachel was the vice president of the class of 2010 and involved in many clubs. Rachel plans to attend St. Vincent College in order to earn her Bachelor’s degree in teaching. Her goal is major in elementary education and minor in special education. She said, “Being a teacher would help me give back the education I had been given, and hopefully be an inspiration to a student, just like the teachers have been for me.” She went on to say “Even if I was to only make an impact on one child’s life, it would be worth my time.” She would like to be that teacher that everyone is comfortable coming to, no matter what the situation. She would like to minor in special education because she believes those children are not given the same opportunities as the main stream students. The 2009 Scottdale Fall Festival Scholarship is awarded each year to one high school student who is involved in community activities. This person has leadership qualities, shows dedication and is actively involved in the community. This year the scholarship has been awarded to Andrew Dzambo, Southmoreland Class of 2009. Throughout his high school career Andrew was involved in many activities. Andrew was a member of many clubs and organizations including Student’s for Life’s Choices, Science Club, Spanish Club, Chess Club, Reading Team, Varsity Club, National Honor Society, Spanish National Honor Society and ALPHA. Also, Andrew was Co-Captain of the Golf Team and member of the Academic Quiz Team. During his time at Southmoreland High School, Andrew played a vital role in the community. He is a representative of the Everson Junior Council and also founder of the Everson Junior Civics Organization. Andrew also volunteered for the Everson VFW Bingo, Scottdale Fall Festival and Picnic in the Park. Since graduation Andrew has been accepted at Penn State University Park campus and will start classes in the fall majoring in Meteorology. Andrew Dzambo finished his B.S. degree in Meteorology in 2013, a M.S. in meteorology from the University of Oklahoma in 2015, and is currently studying for a Ph.D. in meteorology at the University of Wisconsin -Madison. The Scottdale Fall Festival committee, a subcommittee of Scottdale Borough, created this $500 annual student grant with revenues generated from the annual community festival, held the third weekend of each September. This grant will be awarded annually to a Southmoreland senior who has been both a good student and an involved community member. Upon enjoying the success of their early adulthood (be after high school, military involvement or post-secondary/tertiary education) awardees are encouraged to contribute to the grant fund to ensure its continued growth which will help other young Southmoreland students. Click HERE to submit your applications.